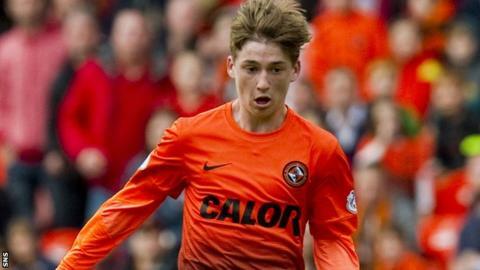 Ryan Gauld wants to play club football abroad one day but insists for now he is happy at Dundee United. The 17-year-old is "flattered" by reports linking him with Real Madrid and will not let a Lionel Messi-inspired nickname go to his head. "I just try to get on with my game - I just go into a game and I just clear my head," Gauld told BBC Scotland. "The most important part is enjoying yourself, because if you're not doing that you're not going to play so well." Gauld, who set up all four Dundee United goals against Partick Thistle last Saturday, recently signed a contract extension. The teenager's exploits have earned rave reviews, a call up for Scotland at Under-21 level and a highly complimentary moniker. He has been dubbed "Mini-Messi" by his team-mates due to his extraordinary ability, but Gauld is keen to downplay any comparison with the Barcelona superstar. "I don't really listen to it," he said. "Obviously it's great to get that comparison. But I don't think anybody will ever be a mini-Messi. The stuff he can do with a ball is a joke! "When I'm watching him I just wonder how he does some of the stuff that he does. "It goes through your head to try it and then you think, nah, maybe I'm not good enough to do that yet, I'll maybe have to wait a few years." While Gauld is content learning his trade at Tannadice he does harbour hopes of playing in the Champions League and joining a club overseas. "I would like to think that I could go abroad maybe and see the lifestyle and culture over there," he explained. 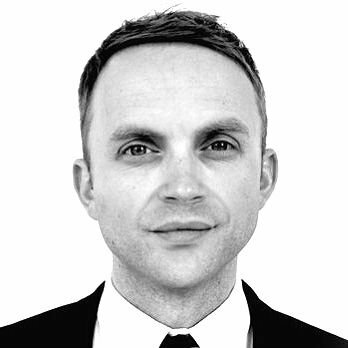 "Obviously, every young boy's dream is the Champions League. That's the biggest stage of football so if I could reach that at some point in my career I would be absolutely delighted." Gauld, born in Aberdeen and raised in Laurencekirk, has scored five goals from 15 games this season and provided multiple assists. And he is not the only teenager to have made his mark at Tannadice this season, with Andrew Robertson impressing at left-back and John Souttar a regular starter in central defence. Souttar and Gauld have been friends from childhood and the duo may be together for a while yet, although chairman Stephen Thompson is not ruling out any January sales. "I think I can speak for me and John when we say we're both very happy here," added Gauld. "For us to develop as players, to be as good as we can be I think at this stage we need to be playing first team football."